SAGINAW – Despite plenty of talented runners, the Carman-Ainsworth cross country team was unable to qualify anyone for the state finals. During the regional at Delta College on Saturday, the boys finished 12th with a 327. Joe Chinkeefatt took 25th in 17:08.30, Jack Carter placed 35th in 17:21.50 and in 86th was Dalero McNeal in 19:41.72. Kielin Thompson claimed 88th in 19:50.93 and in 93rd was Keegan Maguffee in 20:03.41. 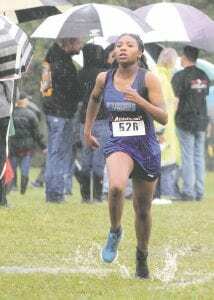 The Lady Cavs finished 13th with a 367, led by Rayven Brantley in 46th in 20:58.67. Mikaiah Holbrook took 67th in 22:03.09, Ayianna Massey was 71st in 22:10.18 and Mikayla Holbrook 88th in 24:21.62. Rachel Allen was 95th in 30:22.86. – B.P.